A one of a kind family experience 15th & 16th of June! Book your EARLY BIRD tickets to get the best deal ! 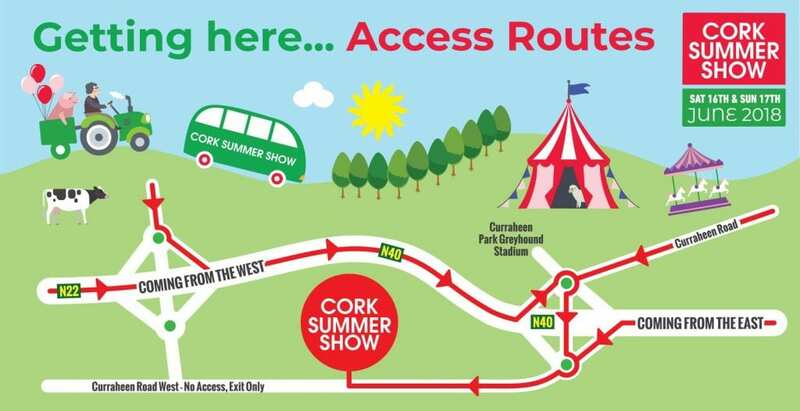 The Cork Summer Show is on Saturday June 15th & Sunday June 16th 2019 from 9am to 6pm each day in Curraheen Showgrounds, Cork. Children under 12 go in FREE! Encompassing a creative mix of agriculture, food, music, home, garden, crafts, equipment, animal husbandry, entertainment, and retail trade stands, it guarantees to always be a great day out for all the family since 1806. 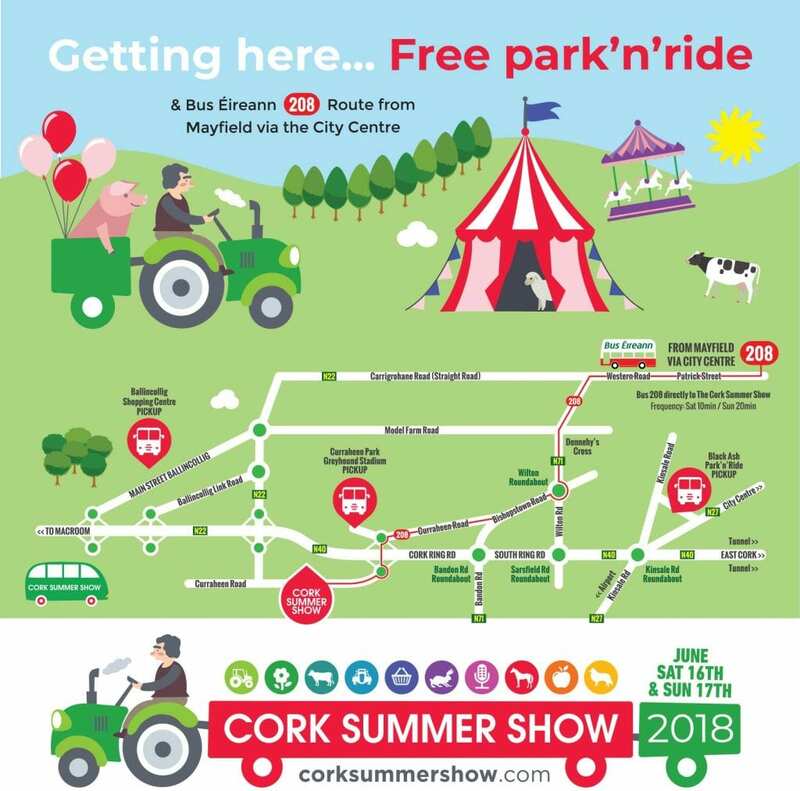 The Cork Summer Show offers a varied programme of activities including food, garden, vintage machinery, farm machinery, music and entertainment. 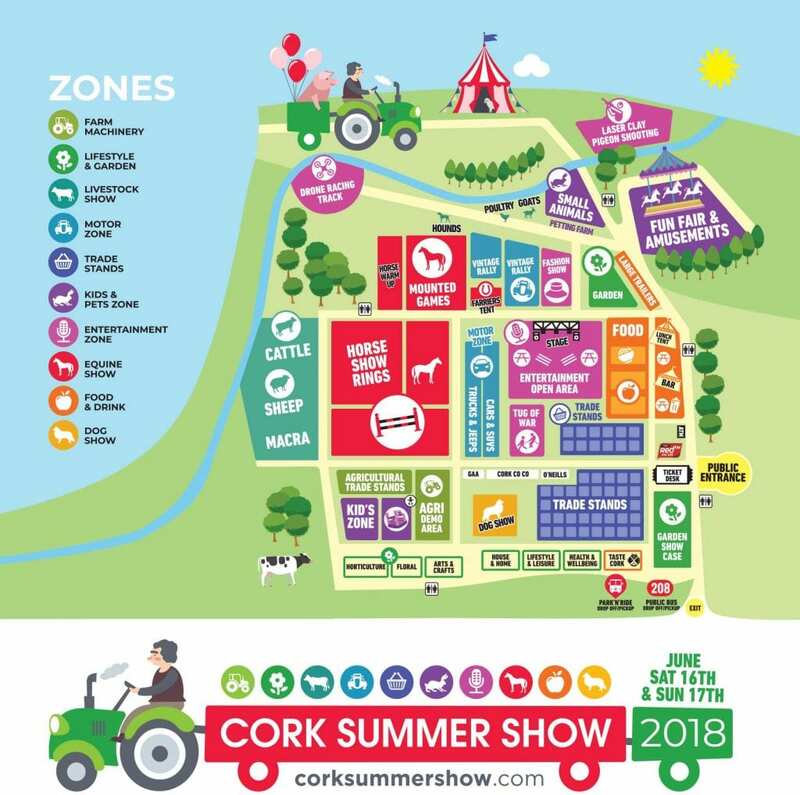 The Cork Summer Show is one of the largest events of it’s kind in Ireland attracting over 50,000 visitors in 2018. Organised by the Munster Agricultural Society, the Cork Summer Show has been running in one form or another for over 200 years, since 1806. It is Cork’s oldest and largest agricultural, gardening, food and family event which takes place every June in Curraheen, Cork.